What's the wave of the future in education? If you ask John Concilus, it's doing away with textbooks. Concilus, the educational technology coordinator at the Bering Strait School District in Alaska, which houses the vast majority of its curricula on a fully modifiable, 14,000-page Wiki makes his case on his blog, The Education Bazaar. "In the Education Bazaar," he writes -- a theoretical world that reverses the dominant paradigm of top-down, vendor-driven education materials -- "school districts, schools and teachers select and or build software, write curriculum content, and devise solutions that meet their needs, not the needs of the vendors and the usual benefactors in the existing system" (read: print textbooks). 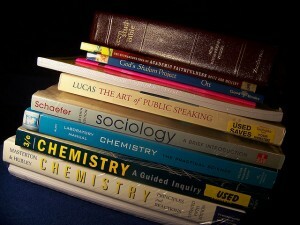 In his post "Is K-12 Ready for Open Content Textbooks?" he maintains that eliminating textbooks is still a major hurdle to cross for most schools: "Research shows [...] that for most teachers in most schools, the textbook actually is the curriculum. [...] When we ask many teachers and school administrators to consider Open Content textbooks, we are asking them to essentially abandon their entire curriculum." While the number of schools and teachers using customizable e-textbooks and other open content may have grown since Concilus wrote this post a few years ago, some argue (as do the authors of this recent piece in the Huffington Post) that there's still a long way to go. Even university students are still holding on to the hardbound volumes reports the New York Times. Whichever medium the curriculum is delivered, teachers need to educate students about the open source resources available to them online, and how to use those resources with discrimination, not just deny their existence, as so many schools are still doing with Wikipedia. If students understand both the benefits and the drawbacks of open source content, they can use it effectively -- whether it's the foundation of their curriculum, as it is in the Bering Strait School District, or actually writing Wikipedia entries, as some university students are doing as part of their coursework, or if they're simply encountering open source content like Wikipedia on a daily basis. As Concilus told me, "I think knowledge wants to be free." People can now very easily share resources and collaboratively customize content for themselves; why not schools?